Do you look at furniture as an expendable item in your home this new year? Would you like to have your upholstery clean the Chinese way?Probably not likely. The price of quality furniture often dictates that you take care of it. Buying furniture represents an investment for your home and attending to your investment is crucial. Just about all furniture will have a tag or label on them distinguishing what type of fabric and materials it's constructed from and how to care for and clean them, but there are various methods to keep your furniture upholstery looking like they are bought after the turn of the year. 1. Dust does not exclusively fixate on flat surfaces. Just take a gander at your lampshades whenever you want any proof of that. Your furniture upholstery accumulates dust also , and the best method to get rid of that dust is a vacuum cleaner. 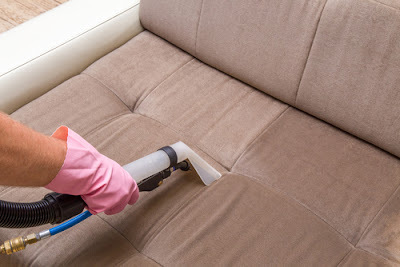 Utilizing the upholstery nozzle and crevice tool of your vacuum one time a month will keep the dust that is from gathering and discoloring your upholstery (don't vacuum down-filled furniture; see our the following tip). 2. Not every part of your furniture is made with the same textiles. 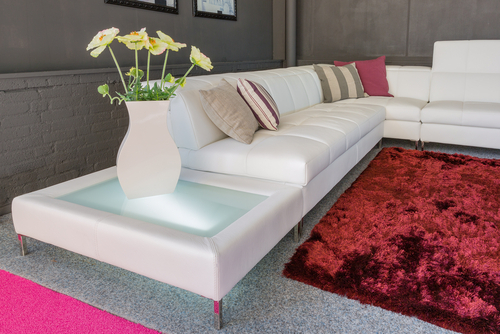 Although a vacuum is perfect for making clean foam filled furniture, the like is not true of down-filled cushions. Most likely, your down-filled cushions are not well lined with down-proof ticking and applying a vacuum to clean that down-filled piece of furniture might pull the downwards out of your furniture. Imagine feathers escaping your treasured furniture. This type of furniture should be brushed. 3. Did you know kitchen hook does not stay put in the kitchen? Utilizing a range hood while cooking will cut down the greasy grime that drifts through the air leaving odors on your upholstery. Replacing the filters in your furnace will likewise reduce dust and particles coming from flying around the room and setting down on your furniture. 4. Can your invitees distinguish the most used seats in the house? For your day-to-day furniture that catches lots of activity, you can use arm and the headrest covers that match your upholstery to protect from hair and the body oils. During summertime months, cover up your furniture with throws constructed from the terry cloth to protect from lotions and oils. 5. Professional cleaning is always suggested for a better clean and should be executed at the least every two years. But for daily maintenance, there are a lot of commercial upholstery washer and shampoos on the market that can do an effective job and in general are easy to apply. Consider what sort of fabric your furniture upholstery is made of and read the caution tag carefully. 6. Water stains are just awkward. I mean, it's anybody's guess what made that mark. You might believe that the more water you use, the more beneficial, but you could not be more incorrect and getting your article of furniture too wet can ruin it. Opened windows and electric fans, dehumidifiers and air conditioners are great at aiding with a fast dry. 7. Presoaking marks on your upholstery with a gentle cleaner made from a cup of mild detergent mixed with foam with 2 tablespoons of water does wonders. Work the stain with a toothbrush and then directly damp with a dry towel. Be cautious not to let any metal on the furniture get wet. Wet alloys will rust, including any zippers, leaving impossible stains. 8. The use of vinegar or acidic substance should be avoided because they'll damage most furniture upholstery. Testing a region of your piece of furniture that's not visible is always suggested before trying any cleaning. 9. Vacuum: The most significant thing you can do to keep your upholstery looking clean is to vacuum it regularly. Try to vacuum your furniture once every week to capture dirt, pet hair, and dust. This prevents that debris from being worked into the upholstery fabric. 10. Avoid the Sun: Ideally, keep upholstered furniture away from windows and direct sunlight. This will help prevent the sun from bleaching your fabrics. 11. Rotate Your Cushions: Simple as it sounds, rotating to your cushions can add a lot of life to your furniture. Like rotating your tires, it makes sure that wear is distributed evenly and that one side does not become too dirty or worn. 12. 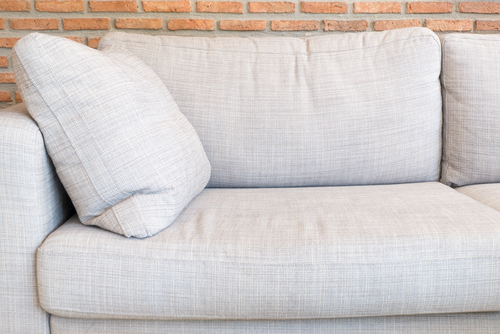 The Sofa is for Sitting: Try to keep the upholstery free of activities or products that could stain or damage it. As much as your kids want to use their markers to draw a picture while sitting on the sofa, its best to keep them away from the fabric until they know how to draw the lines. 13. The Pet Problem: Great as pets are, they can be terrible for your upholstery. If you allow pets on your furniture, the oils in their hair and fur, the dirt they carry around, and their dander will make your upholstery look and feel dirty faster. To keep your upholstery healthy, keep your pets off of it. 14. Not Just Covers: Sometimes cushion covers can be removed and put in the wash, which is great when you're taking care of an emergency spill. If you do this too often, though, the cushion color won't match the rest of the upholstery that hasn't been cleaned. 15. Hire a Pro: like twice or once a year - depending on how much use the piece sees - you should have a professional clean your upholstery. This will help remove the oils and embedded dirt your vacuuming can't take care of. Most carpet cleaning services also offer upholstery services. Furniture with upholstery constructed of synthetic fibers such as polyester will be easy to clean with little risk of damage to the coloration. Any furniture that's more than 50% cotton content should be professionally cleaned as this upholstery can be ruined by some common washers and even home-brewed ones. Perform your preparation and research the different types of furniture and also upholstery fabrics before making your investment. Buy furniture with upholstery materials that are appropriate to your family and household activity. 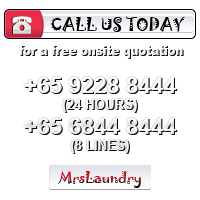 Using the above Chinese new year Upholstery cleaning tips and advice offered, you'll have a lot of years of enjoyment from your furniture.